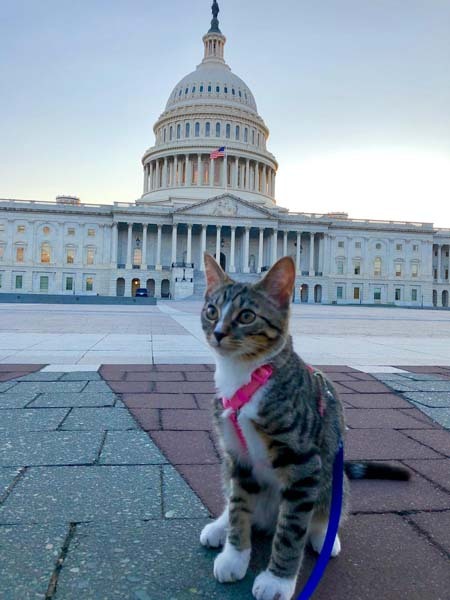 Today’s featured cat going places is Lana, who sees the sights of Washington, DC on a regular basis. Let’s get to know her better. 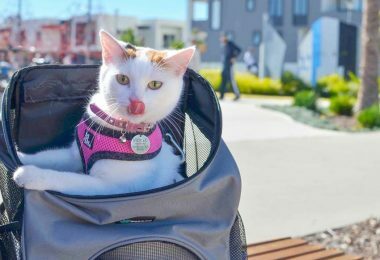 Who is your urban adventure cat? 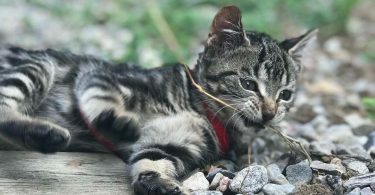 My adventure cats name is Lana. 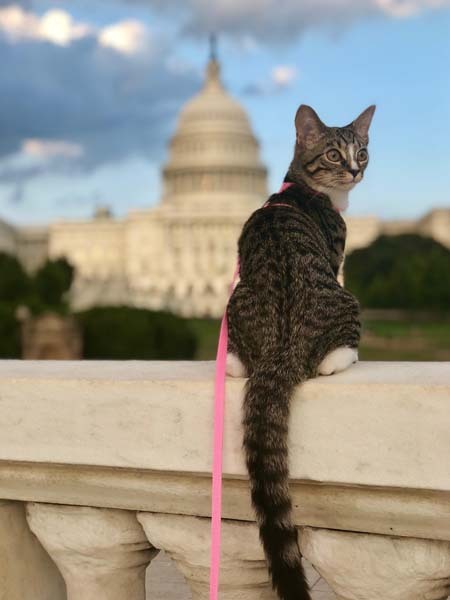 She’s an 8-month-old domestic shorthair that we adopted from the Humane Rescue Alliance in Washington, DC (where we live). She’s a bit of a nutjob and gets the zoomies multiple times a day. 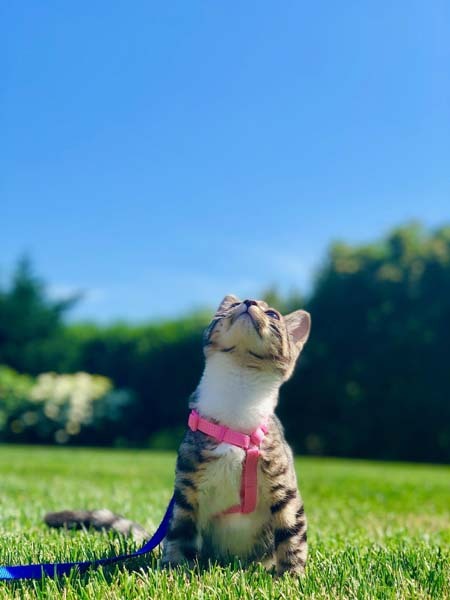 She’s very friendly with new people and loves to explore everything. 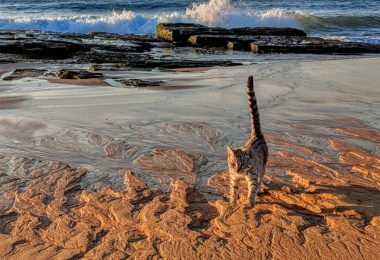 She’s also obsessed with water. She plays around in the tub after anyone showers, drinks from the faucet, and splashes around more in her water bowl than she likes to drink from it. She’s also great meeting new cats and getting comfortable in new living environments (we travel with her sometimes). Her absolute favorite thing though, is to climb anything she can. How did you get started going places with Lana? I started taking Lana places because I felt bad having her cooped up in an apartment all day without any other cats to play with. 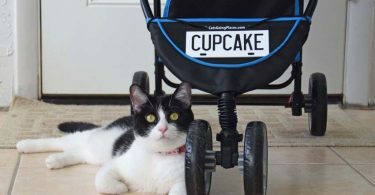 My parents have 2 cats that they bring in a stroller on walks, or take out on leashes so I was comfortable with the idea. I bought a cat backpack on amazon to see if she was also into the idea of adventures, and she instantly loved it. Where do you go with Lana? Usually we just go on walks around DC. Lana also comes with us for car rides to run errands, or even occasionally to our offices or friends’ houses. Do you and Lana have a favorite destination to go out? Where is it? Why is it a favorite? We live near the Capitol so that’s a frequent place for us, but she’s also been the beach a couple of times (which she hated) and spent a lot of time hanging out in my parents’ suburban backyard. Near the Capitol there are lots of grassy areas that can be rather secluded, or more touristy areas, so it’s easy for us to pick something to match Lana’s mood that day.  How to people you meet while out on your adventures with your cat respond? I get asked if strangers can photograph Lana in her backpack a lot when we’re out. I also get random people yelling at me or whispering to each other that there’s a cat in the bag I’m carrying. 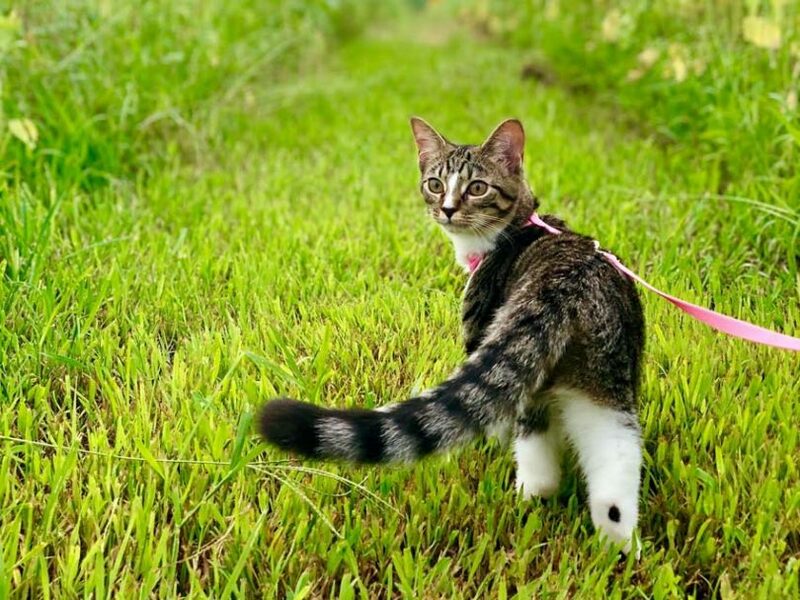 When she’s out of the bag on her leash, people mostly just stare. 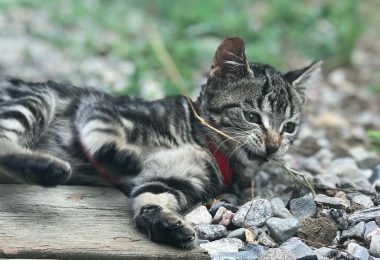 You can usually tell other cat people because they’re instantly obsessed with the idea that my cat is outside on a leash acting like a dog. What have you learned by getting out on adventures with Lana? Trust is key. If Lana doesn’t trust me to be her “safe space,” then we can’t go outside together. I also know I have to leave her bag open for her to run back to when she gets a little scared. But I find that after we’ve spent a little time outside or even just in the car together, she seems even more affectionate than normal and I think it’s her way of thanking me for the extra environmental stimulation. If you want to see more of what Lana is doing, you can follow her on Instgram. It’s funny that Lana’s human mentions her being more affectionate after an outing… because I am too! I guess that is common. 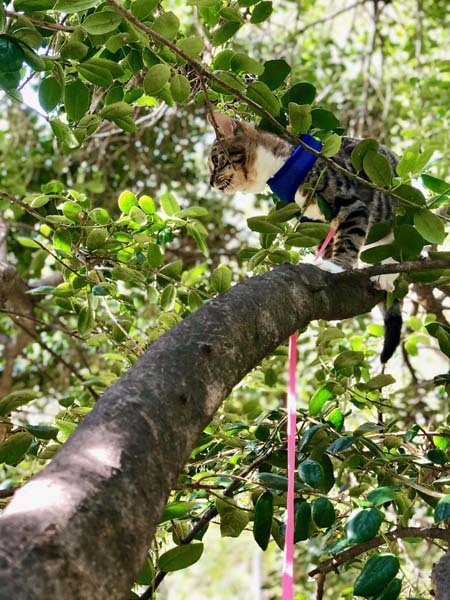 I love meeting so many adventure cats. 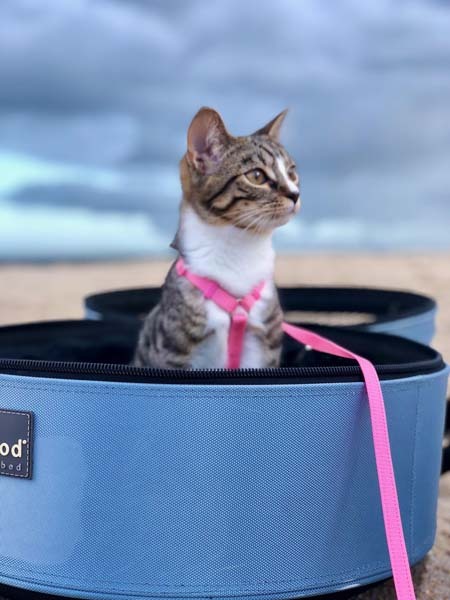 How nice that people are taking their cats to more places than just the vet. I can only think that it makes the vet far less scary than it would be otherwise. 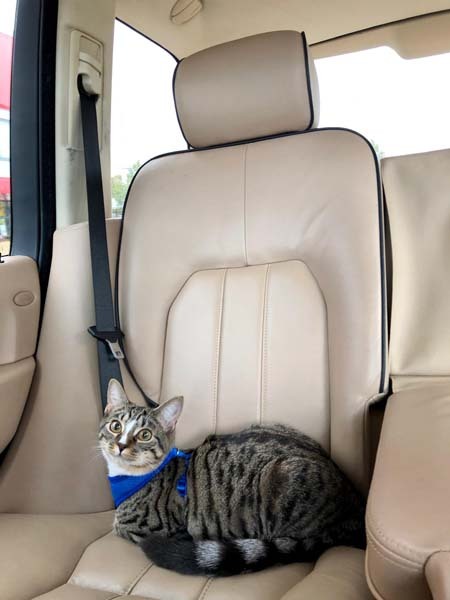 Not only does it make her easier to take to the vet, but she’s become great at car trips and flights (she does so well going through airport security with me)! My Patzy is loving her stroller too and enjoys our occasional walks. All the smells, sounds and sights she gets to see that it seems to be cruel to relegate them to inside the house only. However I haven’t found a halter that fits her comfortably so I can leash train her. I may have to modify one. She has a very short neck and all the ones I have purchased for her have a thick 2” band that Velcro’s around her neck and I don’t blame her for not wanting to wear it. Every second that I am at home she is next to me. I know she would like a leash and halter if they were comfortable for her. Any suggestions for a good halter?